This video and the instructions below it explain how to turn an image on your site into a link. You can add a hyperlink to any image, which will trigger a web page to open whenever it’s clicked. 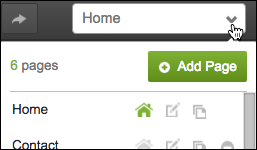 Click the page menu to choose a page where you want to link text. Click the image and select Settings. In the Link section, click the Destination menu to select a page on your site, or type a web address (URL) into the Destination field. 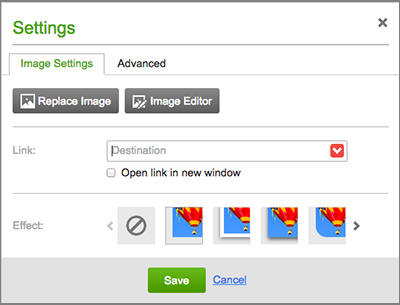 Note: You can also use the Destination menu's Upload option to link an image to a downloadable file. See More Info below. Click Open link in new window if you want the viewer's Web browser to leave your site open in the original window. Click Publish to update your site online.